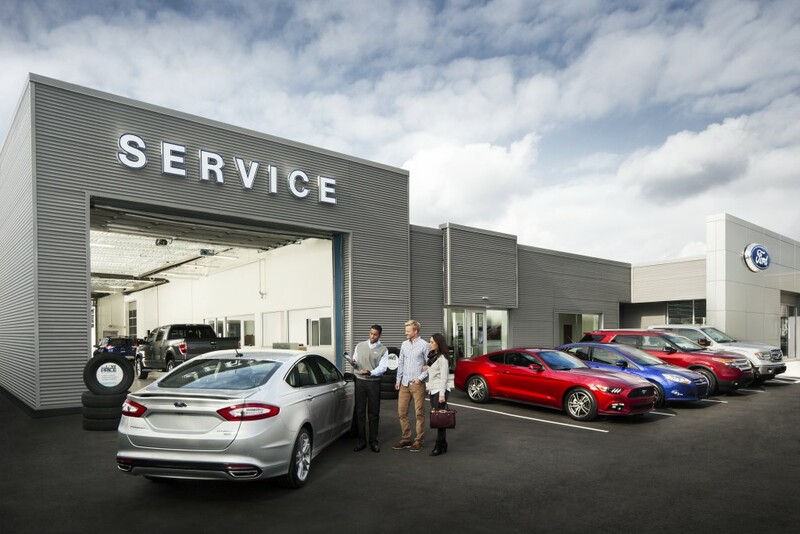 Why Service At Sloan Ford? WHY SERVICE YOUR VEHICLE AT SLOAN FORD? Technicians - Today, our technicians must be electronics experts as well as good mechanics. That's why new car dealerships offer the most experienced technicians in the auto repair industry. Training - Dealers and manufacturers spend considerable money on continuous training to ensure thattechnicians are up-to-date on today's increasingly complex vehicles. Sloan Ford's technicians arealso certified by the National Institute for Automotive Service Excellence (ASE). Equipment - Some diagnostic equipment, like our Hunter Hawkeye Elite Alignment System, for today'sautomobiles can cost over $100,000. Only franchised new car dealers are required to purchaseand use this equipment and maintain computer links to factory service experts. Parts - Only new car dealers are required to carry an inventory of parts to cover all repairs to the carsand trucks we sell, assuring customers quick repairs and genuine parts. Price - We have quality service priced competitively. We offer the best value - fair and honest pricing for Ford Quality parts and certified technicians. Convenience - To ensure convenient service, we offer Saturday hours. We also offer express service for routinemaintenance and simple repairs. Satisfaction - In both sales and service, satisfaction is our primary goal. The best way to achieve this is to offerthe best service support for your vehicle at a fair and honest price. Warranty - All new cars today carry manufacturer warranties that specify maintenance schedules and repairprocedures. Service from the dealer eliminates the possibility of voiding the warranty for failureto meet requirements. We also offer a range of extended service contracts for addedprotection. Guarantees - We want to develop lasting relationships with our customers, and that's why we guarantee ourrepairs. Plus, original parts also carry additional manufacturer guarantees. Protection - The average new car costs more than $28,000, so you can't afford to rely on anyone other thana top professional. New car dealerships offer the highest level of technical training, state of theart equipment, and factory specified parts.